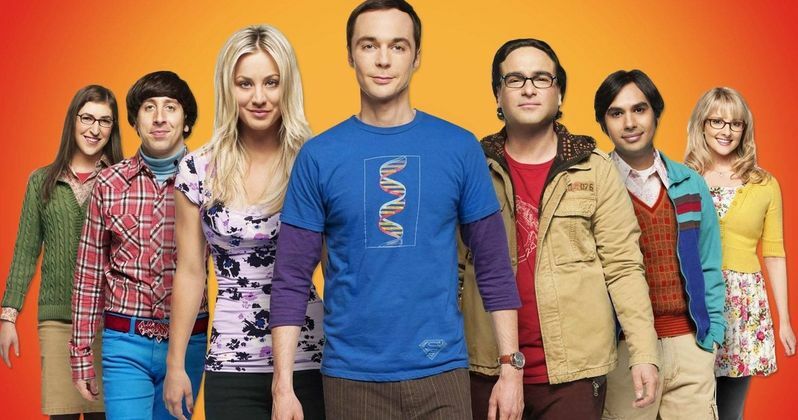 It was recently announced that The Big Bang Theory season 12 will officially be the final season of the long-running and wildly popular comedy series. CBS wasn't exactly eager to let the show go, as it remains a massive ratings earner for the network. However, star Jim Parsons was ready to call it quits and everyone involved decided it was time to hang it up. Now, several members of the cast have taken to social media to voice their thoughts on the show's forthcoming conclusion. Kaley Cuoco, who has been an anchor as the female lead on the show, was among the first to voice her feelings on the matter. She made it clear that knowing The Big Bang Theory is ending has turned her into an emotional mess, but she also promises that the final season will be the best one yet. Here's what she had to say about it via an Instagram post. "This ride has been a dream come true and as life changing as it gets. No matter when it was going to end , my heart would have always been broken in two. Drowning in tears, we promise to bring you the best season yet. To the fans, our crew, families, Chuck Lorre, Warner Brothers , CBS, and everyone who has supported us for so many years, thank you. We are goin out with a bang"
Jim Parsons, who plays Sheldon on the show, was particularly emotional about going off the air. Though he feels it's time to movie on, the actor posted a lengthy and incredibly heartfelt letter to his Instagram, expressing his gratitude for the experience over the years while acknowledging that it's difficult for the news to sink in at this time. Here's some of what he had to say in his post. "It is hard (nearly impossible, actually) to really accept that this is a picture of the first of the final 24 episodes we will shoot for The Big Bang Theory. feel very fortunate that we have another 23 episodes to shoot this season because I am hopeful that with each and every one, my level of REALLY accepting this fact will sink in. And while I know that they already know it, it bears repeating again and again: I am so terribly grateful for the cast in this picture and the cast members who aren't pictured here, whether they were in one scene or many episodes along the way; you are all my playmates that I have fallen in love with and who have become a part of my life on set and off,. You are my playmates when we don't feel like playing but have to because it's our job to get out there and communicate and pretend we're these other fictional people and we look into each other's eyes and say these words and end up creating this weird, other reality that has enriched my life more than I will fully ever understand. I will miss all of you and all of this more than I can say and more than I can know at this time." The Big Bang Theory season 12 recently started filming. CBS will air the final season of the series beginning on Monday, September 24. The show will then pick up with its normal time slot on Thursday, September 27. When all is said and done, it will be the longest-running multi-camera series in television history, totalling 279 episodes. You can check out Jim Parsons' Instagram post, as well as Kaley Cuoco's post, in addition to reactions from Kunal Nayyar and John Ross Bowie, for yourself below.